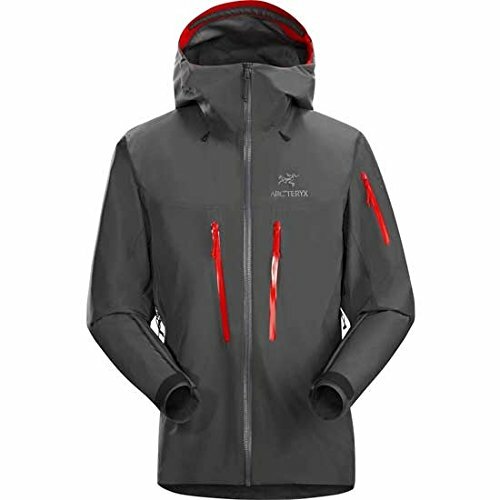 » Marmot vs Arcteryx Jacket Lines Compared: The Ultimate Jacket Battle! Marmot vs Arcteryx Jacket Lines Compared: The Ultimate Jacket Battle! I may not know a lot of things, but one thing I do know is that the weather should not stop you from doing what you love. I know so many people who do not enjoy nature when bad weather rolls around. They are too afraid of their gear getting damaged and winding up wet, cold, and miserable. I think that when you go into nature to hike or bike in bad weather the fun has the potential to double and add an insanely cool element to your experience. 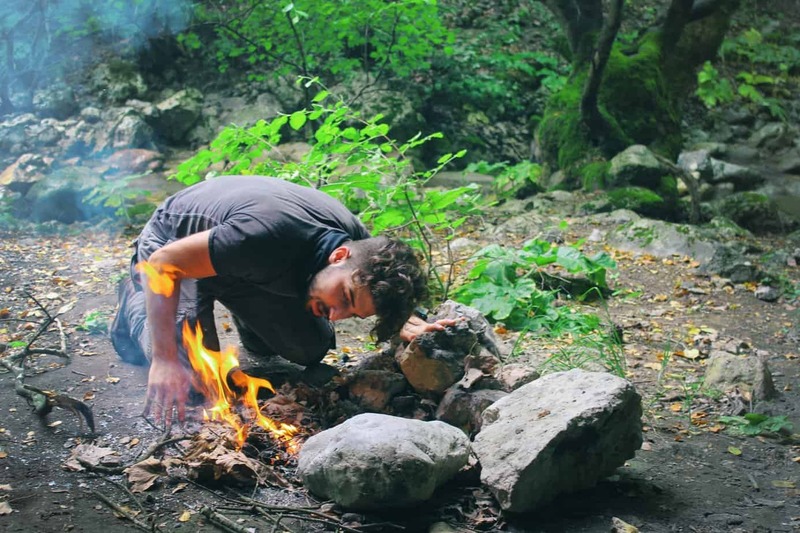 Experiencing extreme weather in nature delivers an intense and unique experience and it molds you into a better mountaineer and outdoorsman. Besides, seeing the clouds hug the mountains is always incredibly beautiful. So if you share my perspective and enjoy sending it into gnarly weather, then you also know how challenging it can be to find the right gear for the job. You essentially want something that will prevent you from getting wet, keep you warm, something that is lightweight and waterproof. With so many options available in today’s outdoor gear industry, it is easy to get confused and feel overwhelmed by all of the options available. Which is why today we will do something about it. Today’s review is about jackets. We will be reviewing jacket lines from Arc’teryx and Marmot and comparing them in a brutal head-to-head battle. We will eventually choose a winner, the ultimate king of jackets. So first, we will take this outdoor review slow and just look at the features of Marmot jackets and Arc’teryx jackets. Then we will compare the two and give our honest opinion. Marmot has been around since 1974. Marmot believes in three principles – people, product and planet. Marmot believes that designing a quality and durable product that not only satisfies the people but is also good for the environment is the key to progress. And Marmot regularly designs their products keeping this in mind. In this review, we are going to take a glance at some of the jackets designed and sold by Marmot. 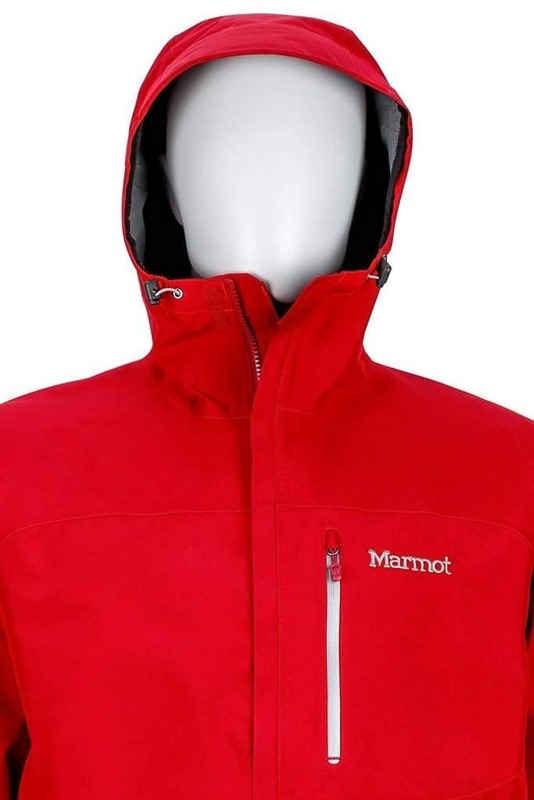 Marmot manufactures jackets, vests, and hoodies. They have designed these outdoor jackets with several criteria in mind such as jackets made from fleece, insulated jackets, designs catered to snow-sports, soft-shells, hard-shell jackets, and windproof, waterproof jackets. The usual budget for these jackets is $500 or less. And they have men-specific as well as women-specific outdoor jackets. It isn’t possible to discuss all the jackets they manufacture, and that’s why we will talk about the two best-selling Marmot jackets. Marmot PreCip Rain Jacket and Marmot Minimalist jacket. This jacket (read my full review here!) 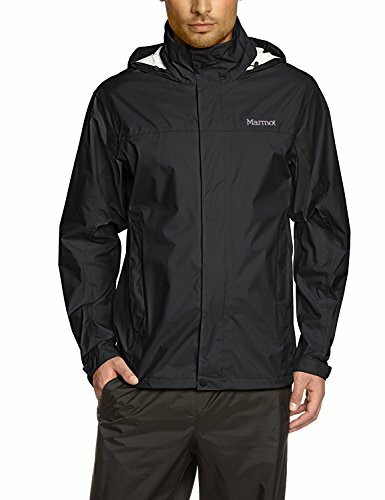 uses the Marmot NanoPro waterproof technology that makes this outdoor jacket enough to tackle the rough, rainy weather while also being breathable and light-weight. This NanoPro technology uses densely packed pores which are small enough to not let water in but big enough to let the water vapor out. This ensures that the wearer remains dry and comfortable. 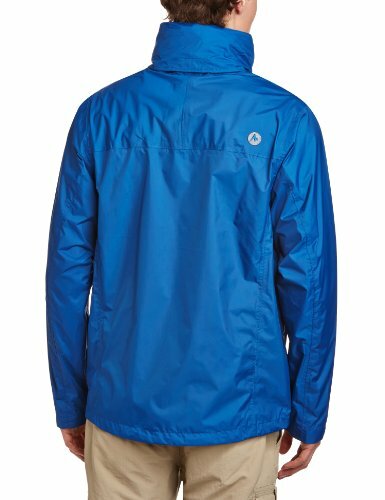 This jacket has some of the great features that make it a good rain jacket. It is fully waterproof and has a breathable shell. There are plenty of zippers on this outdoor jacket. One of them being the essential pit zips which provide maximum comfort and ventilation. There is also something called DryClime that helps to protect the chin from getting scratched when the jacket is fully zipped. A feature about this product that most people are loving is the adjustable hood. It is important to keep the rain off of your head and to prevent your neck from being cold due to cold wind. The hood can be adjusted using the Velcro adjustment at the rear and using side drawstrings. The hood when not in use can be drawn down into a collar. This is another best-selling Marmot Jackets (full review here!). This outdoor jacket uses Gore-Tex with pactile technology. This technology gives optimum waterproofing, wind resistance, and breathability. The Gore-Tex has 9 billion pores per square inch to prevent water from seeping in the jacket. The pactile helps in regulation of temperature, thereby ensuring optimum warmth and less weight. 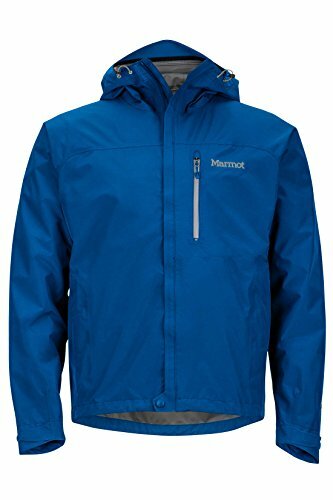 This Marmot outdoor jacket also has fully, 100% taped seams to prevent water leakage and a storm flap around the front zip which prevents the zipper from being damaged due to becoming wet. There is also an attached adjustable hood in this jacket which prevents the face from getting wet. This jacket has PitZips which are basically zips on the underarms. This helps in getting rid of the heat if it is too hot in the jacket and provides ventilation. There is also a waist-cord which is fully adjustable for a better fit. So, those were some of the features of the two top-selling Marmot jackets. All of their jackets use Gore-Tex technology, in fact, they are one of the oldest Gore-Tex customers. 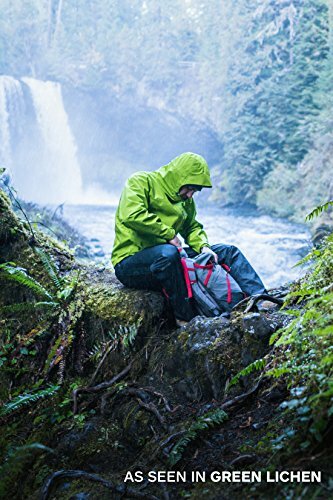 Both of these jackets feature chest pockets for easy storing and retrieval of things, additionally, there is also adjustable waist cords and attached hoods that are functionally adjustable. These jackets are lightweight and breathable while also being comfortable and providing significant protection against the harsh elements. Both of these Marmot jackets also feature a DryClime chin guard which protects the chin. Arc’teryx is a Canadian outdoor gear manufacturing company. It was founded on the idea that no matter what, there is always another, better way. The inspiration of Arc’teryx is their main location which is in the cold, Canadian climate. They believe that in order to create gear for this climate, you need to exist in that climate, and that is why their base is located in the Canadian Coast Mountain wilderness. The company’s guiding force is obsessive and precise design and production. The main goal of Arc’teryx is to design and create what has not yet been designed. At Arc’teryx headquarters, most products are developed because of a need. Like a jacket to combat cold. Then more features are added and removed. The design is improved, and functionality is increased until eventually, you have a functional, innovative and timeless product. Arc’teryx uses several cutting-edge technologies to build their products. Technologies like Arc’teryx and Gore-Tex, Hard shell Vs Soft shell, Technical Down etc. are incorporated into their products making them some of the best products outdoor sports industry has to offer while also making sure that is not harmful to the environment. Here in this outdoor review, we will again talk about the two of the bestselling Arc’teryx jackets. These are Arc’teryx Beta AR Jacket and Arc’teryx Alpha SV. Both of these are available as women-specific and men-specific. This jacket by Arc’teryx is guaranteed to keep you dry no matter how heavy the downpour is. This jacket has an anatomical shape which means it fits darn-near perfectly on your body, without leaving any loose or tight spots. There are drawstrings virtually everywhere on this jacket. 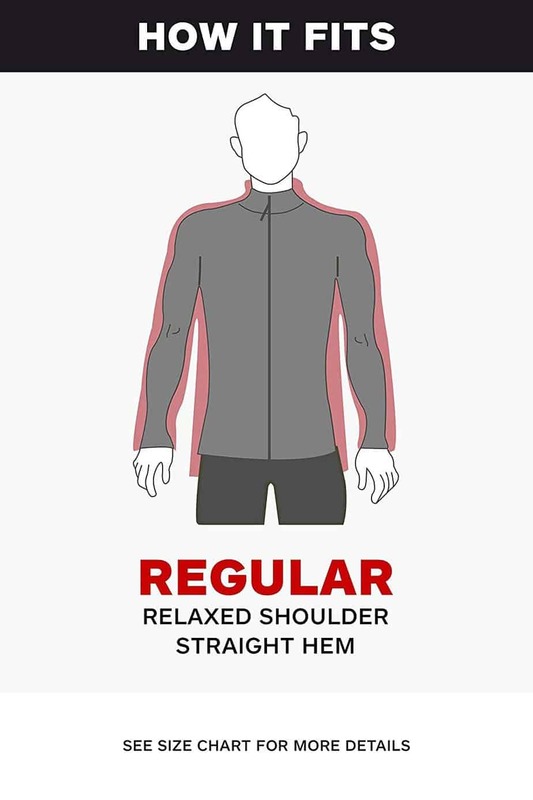 This means that you can adjust the jacket on your body as much as you want to. This jacket also has an adjustable draw-string hood so you can tighten the hood to prevent rainwater from seeping in through from above. There are two pockets on the front of this jacket and both are set at a higher angle, somewhere near the rib-cage. This may seem a bit unnatural to use but there is a good reason for this. This ensures that you can use your pocket even when you are using a harness. The zips on these jackets are water-tight this means that the zips will not get damaged and become loose or rusty when exposed to water. Also, the zippers ensure that the items you store in your jacket will remain dry. Arc’teryx Beta AR Jacket uses Gore-Tex Pro shell three-layer laminate waterproof technology on their fabric. This makes this jacket everything an outdoor explorer can desire. Waterproof, wind-proof, appropriate for snow, breathable, comfortable and lightweight. This Arc’teryx jacket is a hard shell jacket and is one of the best, if not the best, jacket on the market. It is highly durable and ideal for use in extreme conditions such as frigid winds and heavy snow. This jacket has an anatomical gusset design which means that it will fit perfectly on the body and you can even wear a base layer underneath if needed. The SV in the name of this jacket is short for Severe and that is appropriate as it gives protection form unrelenting cold and rains while keeping you warm and dry. It has a new Gore fabric N100p-X Gore-Tex Pro-face fabric which is even more durable and sturdy. There is also a coating of Nu water repellant on the exterior of the jacket to prevent moisture from seeping into the material. This jacket features taped seams which are mainly responsible for its perfect fitting. It has watertight zippers, and sturdy Velcro straps on the cuffs to prevent a cold draft from entering in. This jacket has a StormHood which is compatible with helmets. This is the reason that this jacket is dominant over all the other jackets in the industry at the moment. So, above in this outdoor guide, we discussed some of the major features of both of these outdoor jackets. We took examples of two of the bestselling jackets from both Arc’teryx and Marmot to get our point across. Now we will compare both these companies’ jacket lines head-to-head with each other and determine which of these companies has a higher quality product. 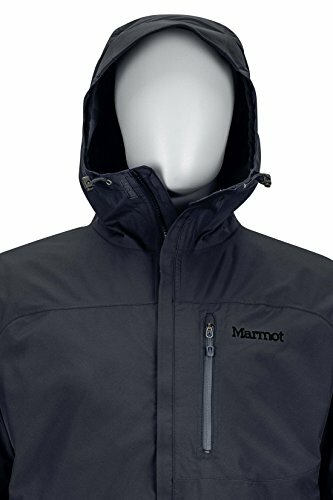 Here, we will not limit ourselves to just two examples each, but include all the jackets manufactured by Marmon and Arc’teryx. For most people, this is a deciding factor when it comes to purchasing outdoor gear. An average Arc’teryx jacket is more expensive than The Marmot jacket. Arc’teryx, in fact, is notorious for high outdoor jackets and gear prices. Some people cannot afford to buy them and miss out the experience that only Arc’teryx gear can provide. The obvious choice is, of course, to go for a Marmot jacket to save some money. But Arc’teryx has a reason for these high prices. Nothing compares to an Arc’teryx jacket in quality, performance, and fit. 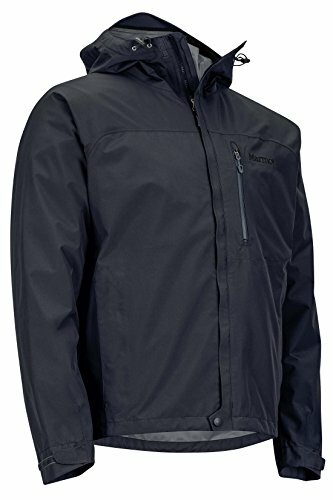 You can always buy Arc’teryx jackets during sales. Note on Pricing Discounts: You can monitor Amazon or REI website and sometimes, you can get an Arc’teryx jacket for less than $300. Trust us, once you use an Arc’teryx product, nothing even comes close to the comparing. Look at it this way, you can spend $300 on a jacket but its quality and durability will be compromised and maybe in a couple of years or so the jacket will have to be replaced with another jacket. By 8 years you will have spent more than $800 on one disappointment after another. In this industry, you get what you pay for. So if you invest in a slightly expensive high quality and durable product then you will get maximum benefits, good performance, and functional and structural durability. 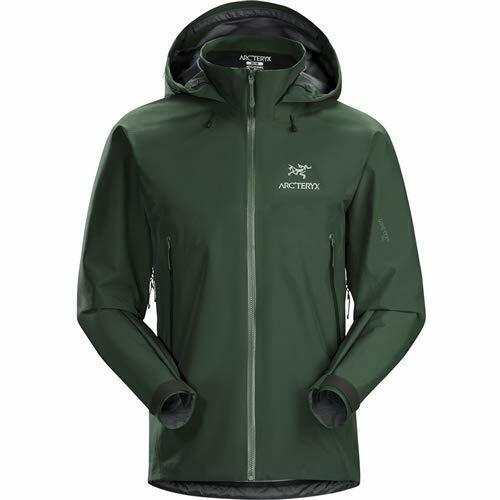 Marmot jackets are made with polyester material while the Arc’teryx is made of nylon. So, maybe Marmot takes the cake in this category. It is well known that polyester is more hydrophobic than nylon and that is why it will perform better than nylon but not by a large margin. While nylon is softer, lightweight and breathable, polyester is more water absorbent. But Polyester is an oil-absorbent so it will absorb body fluids and odor making your jacket smell while nylon pretty much remains smell free. So if you are someone who does not like smelling bad than definitely go for nylon-based jackets. Like Arc’teryx. The warmth and water-proofing ability are not compromised much at all (Only about 3-4%). Both the jackets use Gore-Tex fabrics but Arc’teryx uses advanced 100 denier material. So the warmth is even greater, improving its performance. This material is extremely durable and two times more abrasion resistant than most jackets out there including Marmot jackets. This is another thing the Arc’teryx jackets are known for. These jackets boast excellent fitting, probably the best in the industry. Marmot jackets are great too, but they just don’t pack that punch, you know, that equilibrium between perfect fit and utility. That delicate balance that gives you mobility while also leaving room for layering. The Arc’teryx jackets have found that balance. The taped seams ensure a perfect fit without your jacket feeling floppy or too tight. So, this is another point for Arc’teryx. Unlike most rain jackets both of these companies have hoods attached to their jackets. Both of the hoods are fully adjustable and protective. But Arc’teryx has something they call StormHood which is a hood that is compatible with a helmet as well. So if you are skiing or hiking in places with snow, then generally you have to wear a helmet. And this StormHood system makes it easier to wear a helmet while wearing the hood above the helmet. There are multiple draw-string adjustments on the hood for a snug and comfortable fit. This feature is not available in Marmot jackets and that is a disadvantage. This may not seem like that big of a deal compared to other features, but it is most definitely a big deal. When you are in the cold or in heavy rains, despite wearing gloves, your fingers tend to get numb and can even begin to lose function. So you need a zipper that flows smoothly. Also, cold and wet weather tends to damage the zippers and you do not want your zippers to get stuck in the middle of your next expedition. Both of these companies have tried to solve this problem using different methods. Marmot has tried to solve this problem by incorporating storm flaps over their zippers to prevent them from getting wet. This system works too but not as seamlessly. On the other hand, Arc’teryx thought outside of the box and came up with WaterTight zippers having RS sliders. These zippers are claimed to be water resistant by Arc’teryx but in reality, they are pretty much waterproof. The RS sliders ensure that the zipper works as smooth as a hot knife through butter. So here too, Arc’teryx wins. Okay, so like we mentioned previously in this review that the pockets are angled and higher up on the jacket. This may seem like a small detail but it is a very important feature. Often times, when wearing a backpack or a harness, you need to be able to reach to your pockets. If the pockets are near your stomach like most pockets on rain jackets and hoodies, then it will be immensely difficult to reach them, much less open or close them. To combat this problem, Arc’teryx came up with an innovative solution. They positioned the pockets higher up on the jacket. This ensures that you can use them even when you are wearing a harness or a backpack. The pockets are also at an angle so you can reach them with your opposite hand as well. This angle is important especially when you are doing activities such as alpine climbing as it helps you to maintain your center of gravity and easily tuck your hands in the pockets if your hands get too cold. This feature is however non-existent on Marmot gear. This means that another point goes to Arc’teryx jackets. So, above we compared both of these jackets lines on various features and now is the time to declare the winner. The winner is Arc’teryx jackets. These jackets are more durable and extremely comfortable for the user. Marmot jackets are great too. But there are a lot of places they can improve. One of the few complaints that have been pretty constant with Marmot jackets is that, despite having a claim of being waterproof, some water always manages to seep into the jacket and that is no bueno. Another complaint is that Marmot outdoor jackets are just not as durable as some of the other outdoor clothing competitors, especially when compared to the Arc’teryx. So all though they might be cheap, you might have to replace them after some time. Also, despite having pit zips they still feel hot in warm weather and it can get clammy inside the jackets. Since the jacket uses a polyester material, it might also start stinking a little bit. This may prevent you from truly enjoying your activity and diverts your attention and focus from the experience. 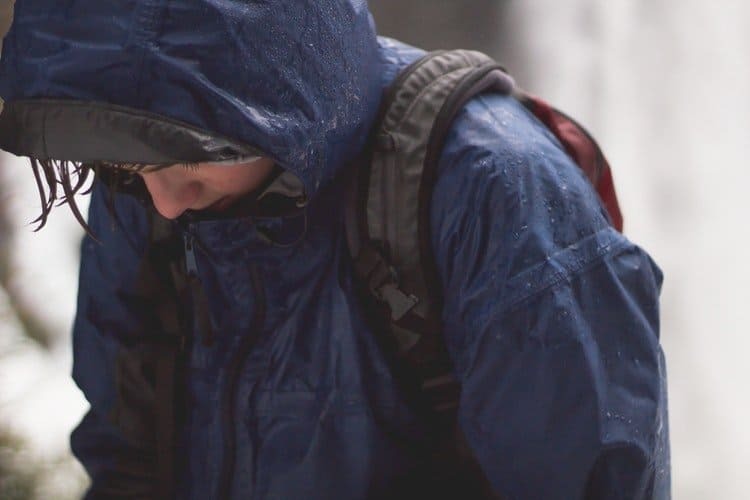 Arc’teryx jackets are some of the best rain jackets on the market and now we know why. They are also very versatile. They can be used in wet weather or cold, snowy climates. They are not only suitable for hiking on a beautiful day, but they are also ideal for adventures like mountain climbing, skiing etc. This is one of the best jackets and worth every single penny. So if you want a waterproof, windproof, versatile jacket that is also highly durable, then go for Arc’teryx without a doubt. Well, that is all for our this outdoor guide and we hope that we made your task of choosing your next jacket easy. Let us know what gear you decided to go with and why, and above all, adventure on!